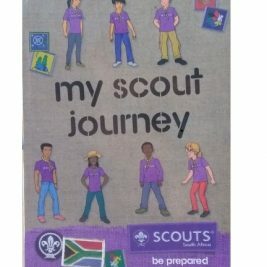 This brilliant initiative came from Scouters Sally and Chantal in Mpumalanga. The two Adult Leaders started a Scout Group named 1st Cho Cho Community Scout Group at the Children in Distress Home that currently looks after 459 orphaned and vulnerable children and their 242 Care Givers who themselves live in extreme poverty. The children are taught the Scouting history, values, principles and laws, the procedures and Scout methods. They get to improve their life skills, learn and play educational games whilst having great fun. They have also initiated a Food for Life project within the Home. The Scouters previously established the ‘Akha ingomuso lethu – Building our future’ project with street children.